1) Pork Dumplings in Chili Oil at Gingko. When it comes to “Chinese” food, Charlottesville has come a long way. Years ago, there was nothing beyond the standard Chinese-American places where the menus are all the same. Sure, every now and then we get a hankering for a cloying, glowing mess like General Tso’s Chicken at a shopping mall. Usually, though, we prefer something more refined. Thankfully, Charlottesville has seen a proliferation of restaurants that are daring not to dumb it down. Taste of China, Peter Chang’s, and Cafe 88 come to mind. Now another restaurant appears poised to join them. Gingko, recently opened just off The Corner, supplements a menu of standard Chinese-American fare with authentic Sichuan options. The Pork Dumplings in Chili Oil are a good place to start. 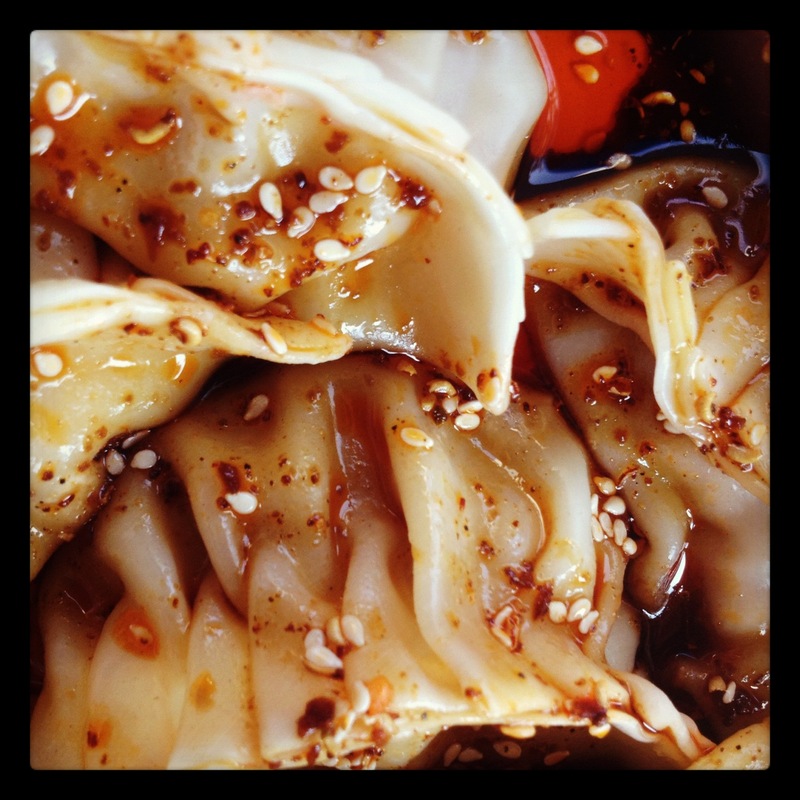 Handmade dumplings swim in a pool of oil seasoned with just enough Sichuan chilis to create the desired numbing effect. 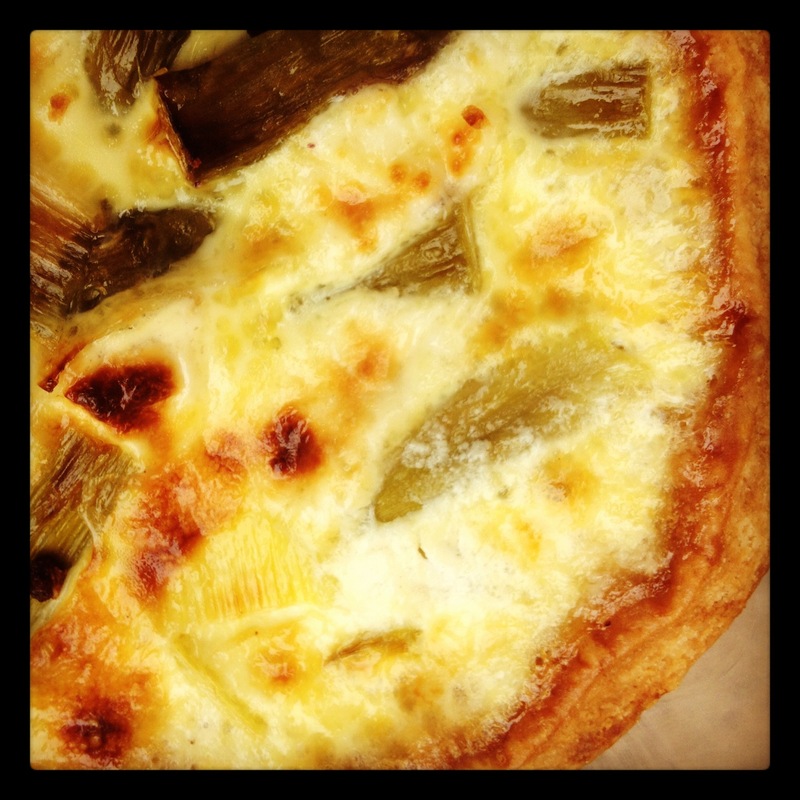 2) Quiche at Paradox Pastry. Yes, the egg is custardy. And, yes the ever-changing fillings always seem fresh and flavorful. But, as you might expect at a bakery, the crust of these personal-sized pies steals the show. Flaky, buttery, and rich, it has the unmistakable stamp of a professional baker. The quiches are so rich in fact that we like to take them home to pair with something acidic. We’ve had luck with Planet Earth Diversified greens tossed in a French vinaigrette from Feast!, or a crisp white like the Blenheim Vineyards Chardonnay.